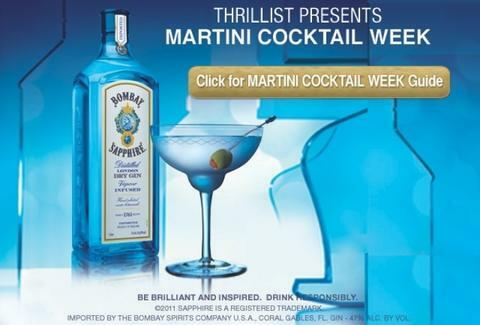 It’s the real most wonderful time of the year, Martini Cocktail Week, when you can gather with old friends (or ditch them for newer, better friends) at Miami’s finest establishments to sip specially priced cocktails from Dec 5th - Dec 12th. The BOMBAY SAPPHIRE®-backed celebration of America’s greatest invention (sorry, blankets with sleeves) will be held at 10 mixologically masterful bars and restaurants across town. Each will offer original takes at irrefutably reasonable prices, from Hakkasan’s Crème-de-Cacao'd “Twentieth Century Cocktail”, to Haven’s sorrel-leafy "Haven Martini”, to one for your lady friend: the Mayfair Hotel & Spa's “Sapphire Cosmopolitan”, which comes with a garnish of "10 ways to make your boyfriend like you even more". 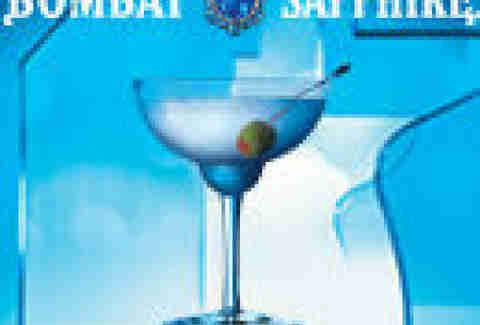 Head here to download the full schedule and guide to all of the martini cocktails -- each shaken or stirred with a bit of the holiday spirit, and the more tangible spirit of BOMBAY SAPPHIRE.